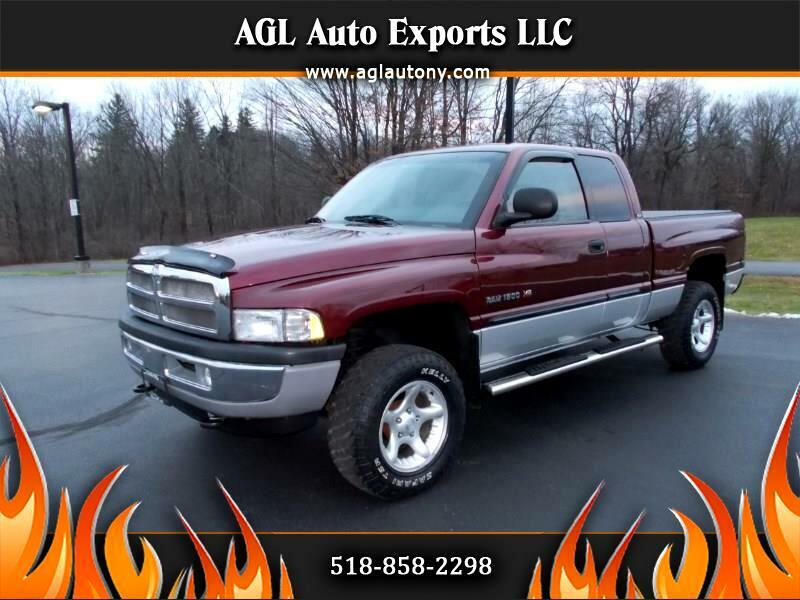 THIS BEAUTIFUL RAM EXT CAB 4 DOOR 5.9 LITER 4X4 1500 IS A DOLL PICTURES ARE TRUE NO RUST LOOK UNDER THE CHASSIS AND ROCKERS ALL SOLID AND SPOTLESS ONE OF A KIND . LOW MILES , RHINO LINER , ALLOY WHEELS , TANNAU COVER , REAR SLIDING GLASS , FOLD OUT REAR DOORS WITH NO RUST ANYWHERE ON THOSE INNER DOORS ! LOOK AT THE SEATS SPOTLESS ,CARPET LIKE NEW ! OFF ROAD PACKAGE , AC, CRUISE , TILT , 4X4 ON THE FLY ONE OF A KIND DONT LOOSE OUT ON THIS THE ENGINE COMPARTMENT IS BEAUTIFUL WOW K&N COLD AIR IN TAKE THIS HOME AND SHOW HER OFF !!!! !